The workshop, How to Make Money While You Look for a Job, provides an overview of how mature workers can make money using what they already know. By the end of the workshop, attendees will have the tools to begin freelance work to help ends meet. • Unemployed baby boomers realities – If you are looking for a job, what are you truly facing. • Mindset of the employable – How what you think about your circumstance determines how you show up during interviews. • Skills of the employable – Examine your current skill set and determine new ways to make money. For over two decades, Angela Heath has enjoyed a successful career as a speaker, trainer and award-winning author. Early in her professional career, she authored three books after being approached by two publishing companies to write them. These books laid the foundation for the launch of her successful consulting practice which is still profitable today. Angela has produced nearly a hundred booklets, pamphlets, reports and manuals on subjects ranging from self-help to aging to business skills. In 2008, she produced Think of Your Entrepreneurial Future for AARP targeting mature persons. Currently, she is working on her new book, Jobs for Baby Boomers? How to Make Money While You Look for a Job and a corresponding training program. 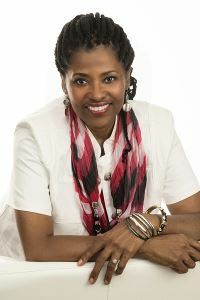 Angela Heath can be found on the web at www.AngelaHeathSpeaks.com and www.TKCincorporated.com.